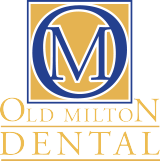 In Alpharetta, Old Milton Dental not only takes preventive and restorative dentistry seriously, but we care if our patients are happy with their smiles. This is why we offer so many different cosmetic dentistry procedures for them to choose from. Whether a patient wants to seal up their gapped smile with dental bonding or Invisalign or needs to remove years of coffee stains, we can help! Find out all of the top cosmetic dentistry options we carry in our Alpharetta dental office. One of the top cosmetic dentistry options we carry is porcelain veneers. Porcelain veneers are thin sheets or porcelain that are tooth colored and shaped to recreate your smile. Veneers can help an array of different dental problems. They can also make a huge difference with only one to two veneers! Some common problems solved by porcelain veneers are hiding gapped, crooked, or misaligned smiles, lengthening teeth to cover gummy smiles, making teeth more symmetrical, providing perfectly white teeth that cannot be stained and covering cracked, chipped or broken teeth. The options are endless with porcelain veneers. Veneers are thought to be one of the top ways to achieve a cosmetically perfect smile. Another one of our top cosmetic dentistry options in Alpharetta includes professional teeth whitening. Professional teeth whitening is one of our most cost-effective treatments as well as one of the most popular. Patients come to us complaining of their stained or yellow teeth and how they found over the counter products to be ineffective. Once we determine that the patient has a healthy enough smile for teeth whitening, we provide them with our different whitening options. These include both in-office options as well as take-home options. Both products are Zoom! whitening. Zoom! uses custom-made trays made with impressions from the patient’s own teeth with a high bleach whitening gel that is inserted into the whitening trays. Since it is custom fit to the patient’s mouth, no whitening solution will be where it shouldn’t. This prevents increased sensitivity to hot or cold or sweet food or drinks. Your dentist monitoring your treatment will also ensure that no damage occurs to your teeth. Dental bonding is a cheaper alternative than porcelain veneers but can achieve the same results. The only big difference is that dental bonding lasts for 1 to 3 years while porcelain veneers can last up to ten. If you are considering porcelain veneers in Alpharetta, you should get dental bonding to test out the potential results of veneers. 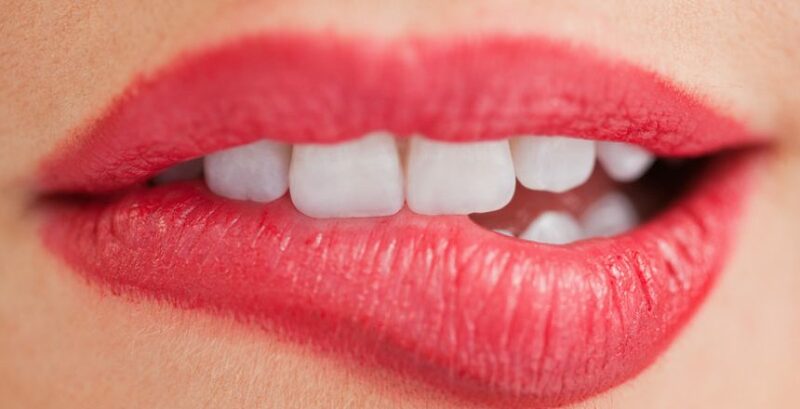 This is a smart option since veneers are a permanent commitment. However, if you don’t want to commit to an expensive or permanent dental solution, dental bonding can provide you with natural-looking results that can transform your smile. Bonding can be used to fill in gaps, hide receding gums, lengthen your teeth, make your teeth more symmetrical and more. Talk to our dentist to find out if dental bonding is the right solution for you. The look of metal braces is not for everyone, not to mention the treatment is quite painful and restricts lots of foods that you can eat. Many patients are choosing to seek the alternative to braces, Invisalign. Invisalign is a simple orthodontic alternative that requires patients to wear clear aligners for two weeks and then switch than with new ones. They will continue this plan of action for their entire treatment which may take anywhere from 6 months to two years. The aligners are completely removable, meaning patients can eat anything they want during treatment. In addition, these aligners are clear, making them perfect for those who want a discreet treatment. The treatment works by gradually moving your teeth into their correct position. If you’re interested in clear braces in Alpharetta, talk to our dentist. Some patients come to visit us with no idea how they want to have their teeth fixed but know that they are unhappy with their smile and know what they want it to look like. With a smile makeover, our dentist will evaluate your smile to help you determine which treatment options will work best to achieve your goals. A smile makeover will consist of at least two different treatments. Whether that be Invisalign and teeth whitening, or porcelain veneers and bonding, your desired smile is within reach. You will tell Dr. Mazer what you do or don’t like and he will tell you which of our cosmetic dentistry options can help you. From there, we will schedule all needed appointments to complete the procedures. In a matter of visits, you can have a completely new smile! Although this is also a restorative treatment, dental crowns work similar to porcelain veneers. Patients who have cracked or damaged structure to their teeth not only need restorative work but cosmetic. Dental crowns solve both! A crown is essentially a cap that is placed over your damaged tooth, made to look completely natural to restore it back to health. The crown protects your tooth from any further damage and from decay and bacteria from finding its way inside. In addition, it looks completely natural and can give you back your confidence. Many patients use crowns to solve damaged teeth as well as crowns to attach to their dental implants. Whatever you are unhappy with on your smile, Old Milton Dental has a dental option for you. If you are unhappy with your smile, what are you waiting for? Pick up the phone and give our cosmetic dentists a call. We will evaluate your smile and let you know about all of the different cosmetic dentistry options we have available that may help you. Our Alpharetta dentist office can be reached via phone or by filling out our online contact form. Explore the top 7 cosmetic dentistry options and how they can help you find your way to a new smile.